While the process of childbirth is, in some sense, everywhere the same, it is also everywhere different in that each culture has produced a birthing system that is strikingly dissimilar from the others. Based on her fieldwork in the United States, Sweden, Holland and Yucatan, Jordan develops a framework for the discussion and investigation of different birthing systems. 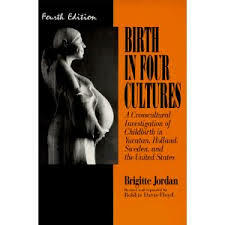 Illustrated with useful examples and lively anecdotes from Jordan's own fieldwork, the Fourth Edition of this innovative comparative etnography brings the reader to a deeper understanding of childbirth as a culturally grounded biosocially mediated, and interactionally acheived event.